Australian literature is in peril—this is not an exaggeration. 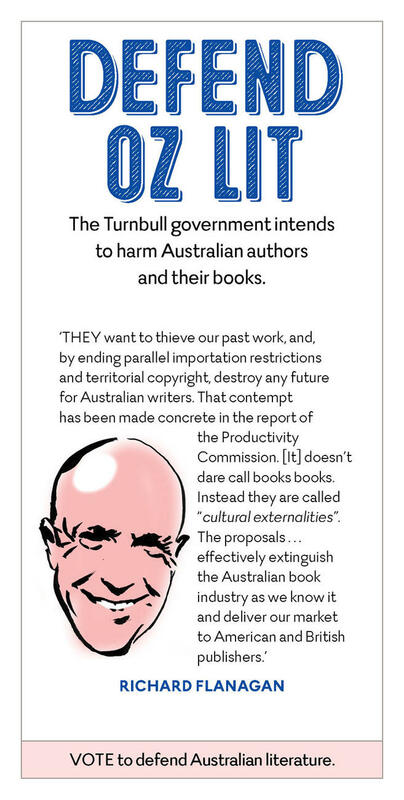 The Turnbull government says that it will remove PIR (parallel import restrictions) on books, a copyright arrangement that has allowed Australia to punch well above its weight to become the fourteenth largest publishing industry in the world, without any government subsidies. 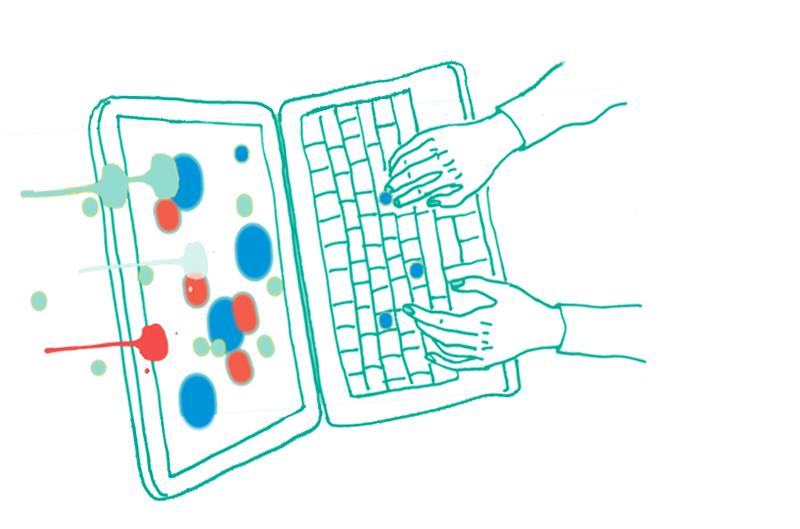 Consumers can already buy books online from anywhere—but the government wants to take territorial rights away from our authors and publishers, even though these rights are protected in the US, the UK and Canada. Defend books. Don’t vote for the Coalition. Designed by Chong Weng Ho, this is the second in a series of e-posters of Australian authors and overseas colleagues speaking up for their rights. It first appeared on Chong’s blog Culture Mulcher at Crikey. Watch this space for more, from Magda Szubanski, Jonathan Franzen, Jackie French, Toni Jordan, Jeanette Winterson, Tom Keneally, Mem Fox, Garth Nix and friends.